Yamaha Champions Riding School bikes to be SOLD at the end of the season! Get in on the action…OR….they go back to Yamaha! Yes, you heard it right. The 2017 Yamaha fleet is two years old at the end of this year so they will be turned over in favor of 2019 models. We can turn them back in to Yamaha or sell them to you…yes you…for a killer deal and all purchases come with a $500 YCRS credit to be used for a free ChampDay or discount off of a two-day ChampSchool. 2017 R6 (All Blue). They are ALL under 2,000 miles. Many barely over 1,000 miles. Price is $8200. Make it $8500 and we will leave on the GB Racing Engine Cover sets andjust order new ones for the 2019 Models: $8200 stock or $8500 with GP Racing Engine Cover sets. 2017 FZ-10. 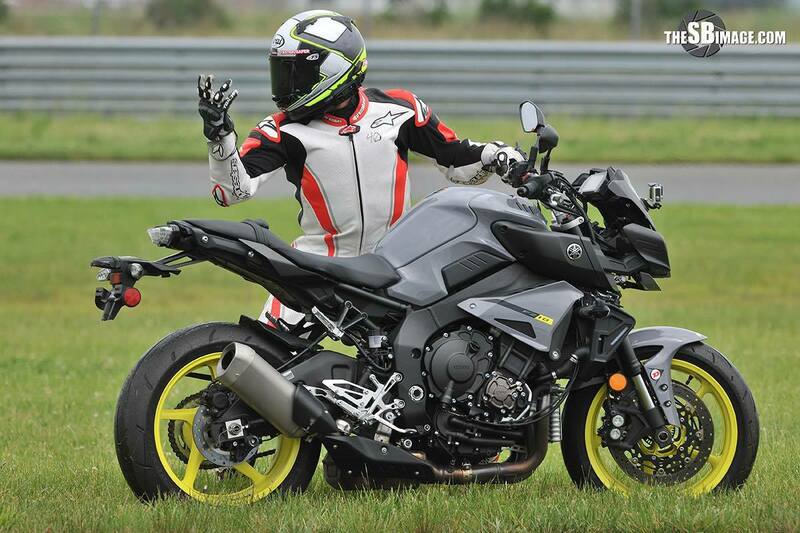 (AKA… The Wheelie King…AKA MT-10) The FZ-10s will be only $9,000. There are a few charcoal with dark wheels and a few lighter grey with bright yellow wheels. Wheelies guaranteed (and the instructors’ favorite bike) only $9000! 2017 Super Tenere ES. The electronic suspension Big Adventure bike is good for dirt roads, easy type trails, and multi-day rides. YCRS staff have been known to embarrass sportbikes in the canyons on the Tenere ES as well. All-around amazingness for only $10,500 ($11,200 with luggage and touring screens)! 2014 FZ-09. The original version has low miles and is only $4500. That’s three torquey cylinders of joy for only $4500! All east coast (New Jersey Motorsports Park near Millville) bikes will be available for delivery starting Thursday, September 6. The west coast bikes located at Inde Motorsports Ranch near Tucson, AZ, will be available after December 5th. 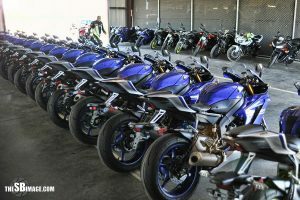 All bikes must be gone by the end of December or they will go back to Yamaha and be sent to auction and get sold for much more. A note here: riders who have purchased our bikes over the past six years have been vvvvvvery happy. All bikes are in mint condition, some with minor scuffs but better than just about anything out there for sale, especially considering the prices: quite a bit less than you will find anywhere else. To purchase, PayPal teachme@ridelikeachampion.com a $500 non-refundable deposit including your personal information and you will get an email confirming your deposit and a vin # for the bike you are assigned. Please note, the sale of YCRS bikes has never been a standard sale. We are not making special arrangements to show them and we are not haggling the price or discussing minor scuffs normal for a two year old motorcycle. We just can’t with 40 bikes to sell. You may come to NJMP (or Inde) when a representative is there to see the bikes, but for the most part, you have to trust that a school of our standards and reputation would not sell anything that is less than stellar. Anyone who knows us knows how we take care of our equipment, including oil changes every 1,000 miles. Tire wear will be luck of the draw. If the person who last used the bike you are assigned rode slowly you may have Dunlop Q3+s with time left on them. If your bike had a faster student on it, your tires may be worn some more. It’s just very random and impossible to track and adjust when we’re talking about 40 motorcycles. But know that these bikes have not been beaten on, over-heated, misused, neglected, ignored, abused, raced, speed-shifted, over-revved…because YCRS teaches students that speed comes from the rider, not just the bike. You may do a deposit for the west coast bikes (near Tucson, AZ) to be available in December. Final payments must be made, and cleared, before any bikes are released. That means you can’t show up with a check and pick up a bike. Best is always to reach out to Keith via email ( Keith@champschool.com) or phone 732-267-3699 and make proper arrangements. We’ve got great Yamahas: Want one?